Wait! 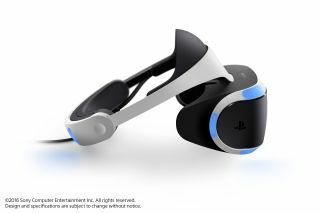 Stop everything: PlayStation VR works with Xbox Ones and PCs too!? It's not full VR, let's be clear upfront, but if you plug any HDMI source into the 'PS4 in' bit of PS VR's external processing box then you can display the signal in cinematic mode on Sony's headset. I've just tried it with my PC and was able to watch American Mary (the first film I found) in my own private virtual cinema and browse my now giant desktop. I also navigated my Xbox One menus in a similar way and plugged my Roku streaming stick in to check out some Netflix and Now TV. Check out our full review of PlayStation VR and discover the best PlayStation VR games available to play right now. The discovery was made on a Japanese blog (via Reddit). It is basic: essentially the headset is showing a big screen hanging in space, and the only audio comes from the TV, but its an interesting option to have.